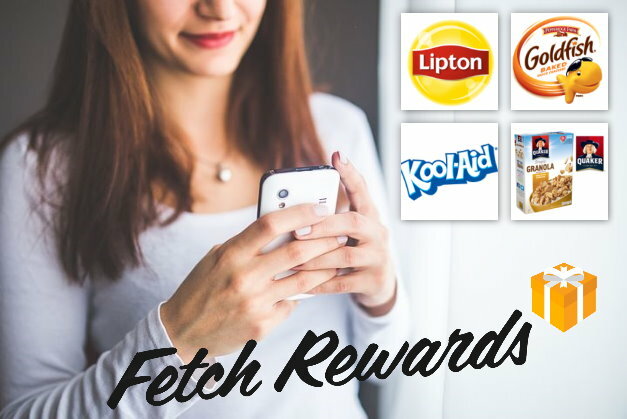 Thru tomorrow, Tuesday, April 16th, when you sign up for the FREE Fetch shopping App and enter the code VP5JJ BEFORE submitting your receipt, you will get 4,000 points. The Fetch App, which is based on a point system (1,000 points essentially equals $1), allows you to earn points just by scanning your shopping receipts, and then trade them in for gift cards and other rewards. You can redeem as little as 3,000 points for rewards, so for example, once you’ve signed up, and have entered the code VP5JJ and scanned your first receipt, you can now grab a $3 Target Gift Card to redeem in stores or online. There are plenty of other rewards to choose from too though, and you can always save your points for bigger rewards. There are different ways to earn more points too, and for a more in-depth look at how this app works, you can check out my post HERE.